In a newly designed 20th-anniversary edition with a new afterword by the author. How can we live our lives when everything seems to fall apart when we are continually overcome by fear, anxiety, and pain? The answer, Pema Chodron suggests, might be just the opposite of what you expect. 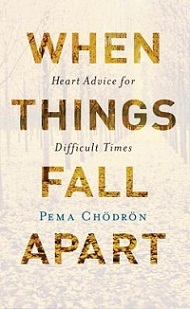 Here, in her most beloved and acclaimed work, Pema shows that moving toward painful situations and becoming intimate with them can open up our hearts in ways we never before imagined. Drawing from traditional Buddhist wisdom, she offers life-changing tools for transforming suffering and negative patterns into habitual ease and boundless joy.